Last fall in a blog post about some of Intel’s latest open source efforts for visual cloud, my colleague Imad Sousou noted that Intel was helping advance the next generation of CODECs, specifically Scalable Video Technology (SVT) for HEVC and AV1. SVT is a singular, cohesive software architecture for an encoder core library that enables multiple CODEC generations, such as HEVC, AV1, VP9 and more—a first in the industry. Our initial efforts focused on forming a new SVT-AV1 open source encoder project as an enhancement to the Alliance for Open Media (AOM). In collaboration with Netflix, I’m happy to say we achieved our goals of a clean, easy to use codebase with the release of SVT-AV1 at NAB show 2019, and a highly performant and efficient next generation AV1 encoder core library. SVT-AV1 is highly scalable, making efficient use of every aspect of the Intel® Xeon® Scalable platforms including extensive use of AVX512. With multiple presets, SVT-AV1 has excellent density and quality tradeoffs, supporting a range of services that demand the utmost VOD visual quality or the responsiveness for live 4kp60 events. SVT-AV1 provides superior performance when running on newly released 2nd generation Intel® Xeon Scalable processors (formerly code-named “Cascade Lake”) and is now a viable option for commercialization with strong industry momentum. High performance encoding is required for visual cloud service delivery. Decode, inference, render, and encode are the four core building blocks to construct these services, and you’ll notice in Figure 1 (below) that encode is required for all. Discrete, optimized open source building blocks are necessary, but insufficient to catalyze rapid innovation, however. 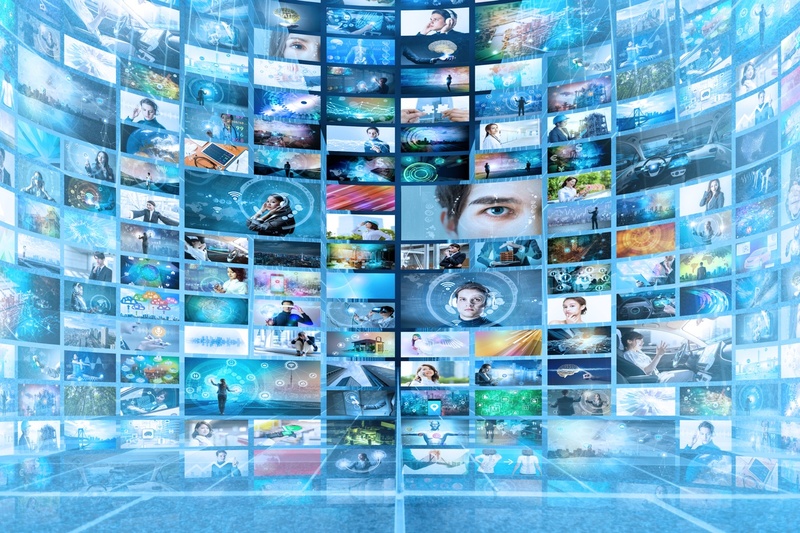 To address the complexities of end to end visual cloud service deployment and accelerate innovation, Intel also announced at NAB 2019 the Open Visual Cloud project. The Open Visual Cloud provides the four core building blocks of visual cloud services and helps bridge current industry technology gaps across the five key services: media processing, media analytics, immersive media, cloud graphics, and cloud gaming. The Open Visual Cloud offers a set of pre-defined reference pipelines for various target visual cloud services. These reference pipelines consist of highly optimized software ingredients across media, AI, and rendering, enabling developers to quickly evaluate, tune, and deploy new services and applications without having to heavily invest in deep low level software tuning. By embracing the most popular open source projects and frameworks, developers can enjoy maximum reuse of existing investments in FFMPEG, GStreamer, OpenVINO, TensorFlow and other deep learning (DL) frameworks. The modular approach in Open Visual Cloud allows developers to simply leverage plug-ins for when it’s necessary to migrate workloads from a CPU to an accelerator, keeping higher level software consistent across the pipeline. These end-to-end reference pipelines are provided as Docker containers, demonstrating how to setup workloads on private or public cloud infrastructures quickly. Open Visual Cloud now includes reference pipelines for 1) CDN Transcode: a 1:N transcode live streaming via content delivery network service, and 2) Intelligent Ad-insertion: an AI-based live ad-insertion service. New reference pipelines, such as 360 virtual reality video, interactive raytracing, and cloud gaming will be added on a regular basis as we continue to improve and innovate. With the release of SVT encoders, interoperability with x264/x265 decoders, the inclusion of OpenVINO™ toolkit for inference and the Intel® Rendering Framework for rendering, Open Visual Cloud spans the four core building blocks of visual cloud. Through our close collaboration with the open source community and strategic partners, we are committed to unleashing innovation for visual cloud services with regular updates and new reference pipelines as well as continue driving future encoder core library optimizations to effectively address the requirements for the next era of media and 5G. We’re very excited to see how Open Visual Cloud accelerates new services and creates new applications. We are eager to work with the larger open source community to improve these elements over time. If you’re attending NAB 2019, come by the Intel meeting room (South Hall S207) to see live demos and learn all the details of Open Visual Cloud. We are currently offering customers a private, pre-production environment to test the reference pipelines and will be happy to talk about how to start that process. For more information about Intel’s vision for advancing visual cloud, visit intel.com/visualcloud. To learn more about open source SVT, visit 01.org/svt. And for more information on Open Visual Cloud, visit 01.org/openvisualcloud. 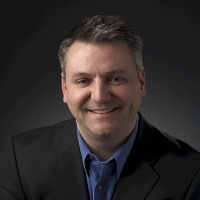 Craig Hurst, Director of Software Strategy & Product Management within Intel’s Visual Cloud Division, is responsible for leading the delivery of optimized media, AI, and graphics SW for cloud native services across the portfolio of Intel® Xeon™ processors and Visual Cloud Accelerators. His efforts led to the release of Intel’s first open source encoders (Scalable Video Technology) and established strong ecosystem collaborations with the world’s top cloud and communications service providers. Prior to this role, Craig established Intel’s automotive product portfolio roadmap for silicon and software, and lead the formation of an automotive cybersecurity consortium. Craig has held various director roles for strategy, marketing, and product management at Intel in divisions ranging from SW developer products, healthcare devices, and networking. His passion is to inspire innovation for new products, market segments, and business models. In his 24 years at Intel, Craig has led teams to help deliver dozens of new products to market, many winning industry awards (including Intel’s first direct to consumer retail product, the world’s first UPnP certified residential gateway, Intel’s first FDA approved product, and Intel® RealSense™ Technology). When not at work, Craig enjoys fishing, waterskiing, travel, and perfecting a new BBQ or kitchen recipe. Craig holds a BSEE from Seattle University, and Certificate of Business Excellence from U.C. Berkeley.